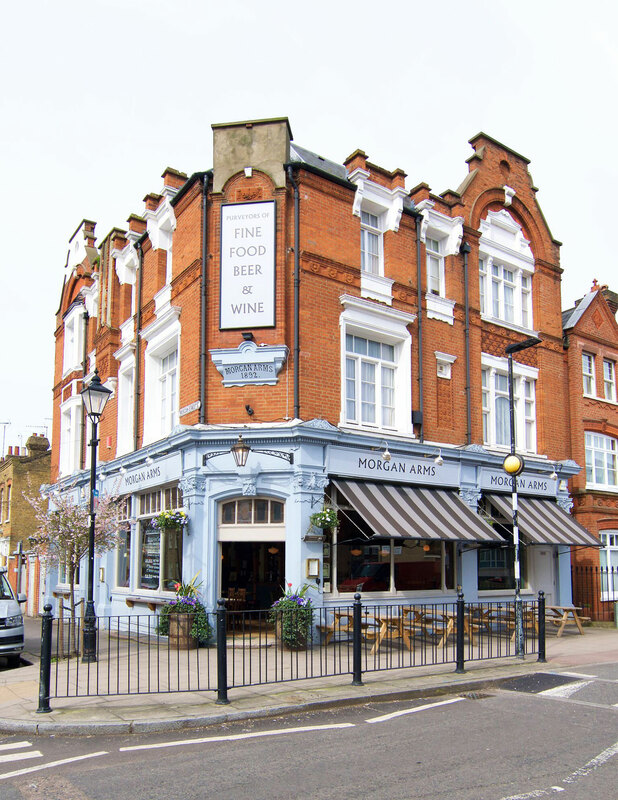 From traditional East End boozers to trendy gastro pubs, Roman Road and the surrounding areas offer a pub to suit every patron. We asked you to recommend the best pubs in the area and, based on the loudest social media shoutouts, these are your top ten. 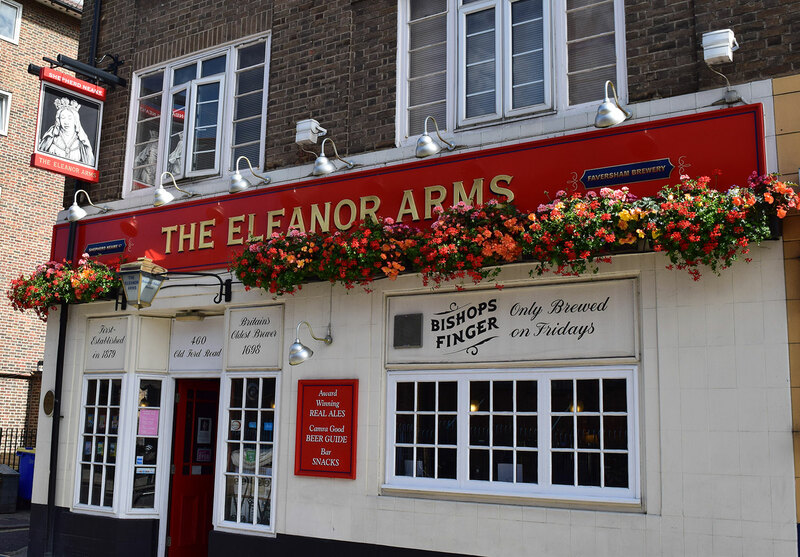 The out and out winner of our informal people’s vote is The Eleanor Arms. Real ale lovers will be pleased to hear this is a CAMRA pub with matching real pub decor. However owner Frankie brings his own idiosyncratic twist to pub shenanigans including the infamous Minestrone of Sound every Friday and Saturday where Frankie plays his ‘wedding floor fillers’ from his CD collection. There is also live jazz every Sunday night from 8pm (free entry), and a monthly charity quiz on the first Thursday of the Month. Round the back is a pool table and if you ask Frankie he will bring out his large selection of board games, cards and ‘shut the box’. Beer prices range from £3.50 to £4.90 a pint and food offerings include Tayto crisps, pork scratchings, nuts, scampi fries and pickled eggs. They have been in the CAMRA Good Beer guide since 2009 and also feature in a Danish London Pub guide as the number one pub in London. 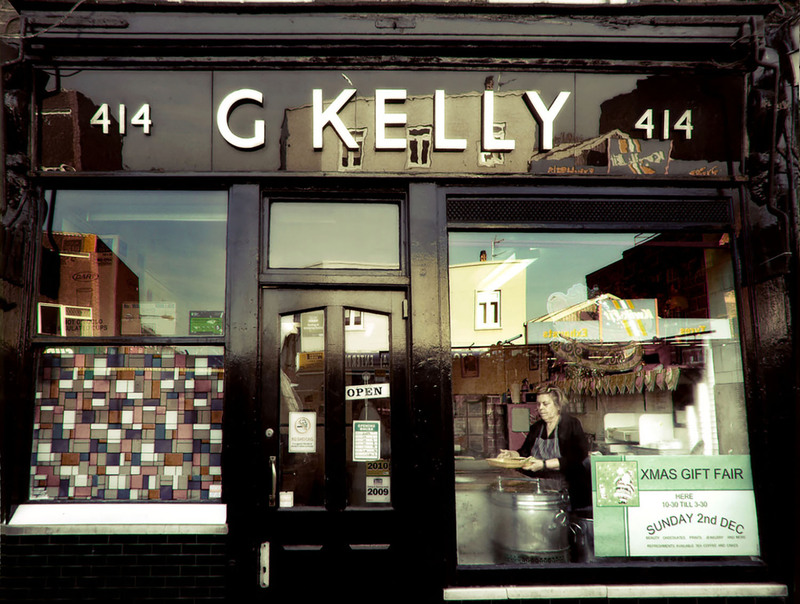 They recently appeared on Food Unwrapped on Channel 4 and on YouTube Down the Ellie features the pub with fictitious characters in a web series. A pint of beer costs from £3.50. 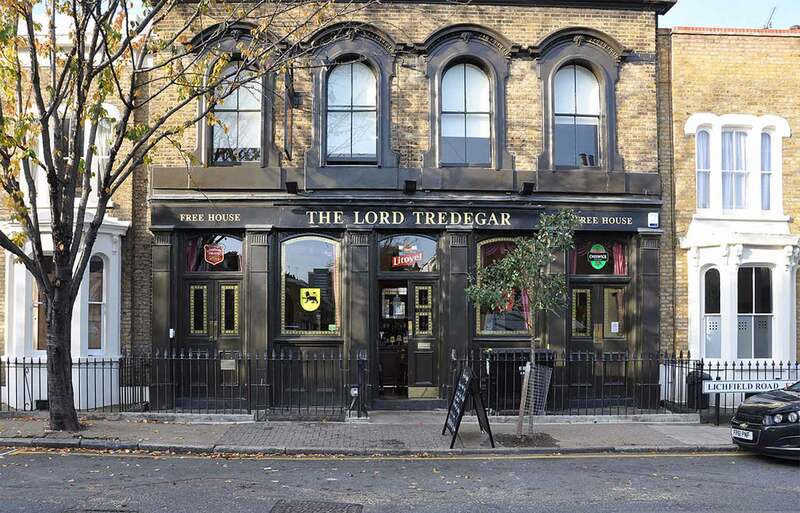 Named after the eccentric Welsh Lord responsible for building much of Bow in the late 1800s, the Lord Tredegar is pronounced tred-ee-gar. Almost every Sunday the pub is fully booked, so it’s best to book to avoid missing out on one of the delicious roasts. Also on the menu is the juicy burger, described as a ‘towering thing of beauty’ by one reviewer, and a ‘proper’ steak and ale pie.. The tap beers change regularly, and they try to support local breweries as much as possible including one in Mile End, Hackney, and Beavertown. There is also a large paved back garden for the summer, and two real fires for the winter. A pint of beer costs £4.60. Since it was refurbished in 2015, The Coborn has doubled its capacity and now offers us probably the largest restaurant in the area. 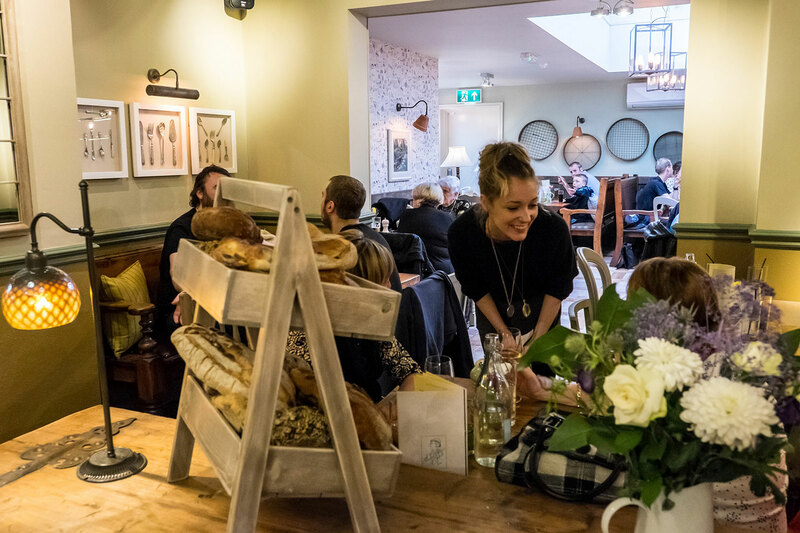 This light, airy and spacious foodie pub, decorated in rustic greys and greens, makes this a good option for women who want to enjoy a glass of wine with the skipper’s catch on their own. Every Sunday, The Coborn hosts a Pub Quiz at 7.30pm. The Coborn has a number of spaces which can be booked and reconfigured to suit birthday parties, work drinks, or any social event you need. There is also the Snug room for meetings. Food-wise, their inspiration is British with a nostalgic food. The seasonal menu includes the all-important Sunday roasts to lighter lunch dishes, bar snacks and daily catch of fish and shellfish from our coastline. The farmhouse sausage and chorizo Scotch egg, coated in crackling is a must. 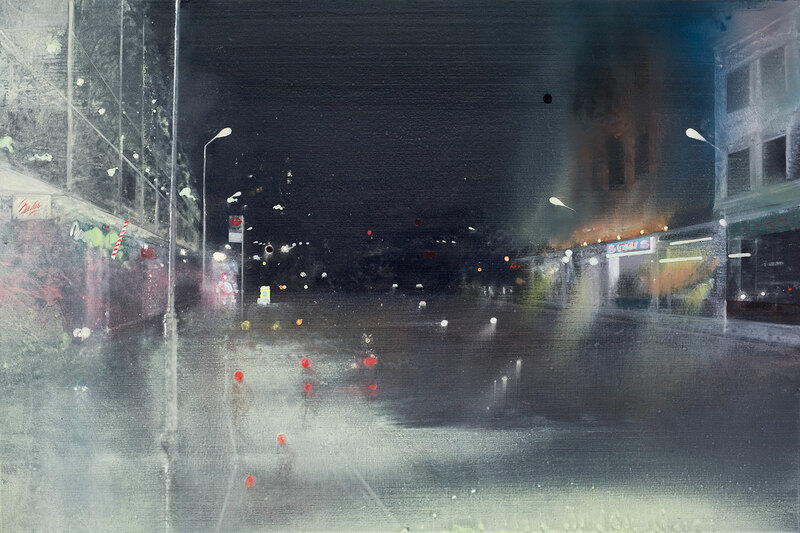 The Coborn got its name simply from the fact that it nestles in the middle of the Coborn Road. However, reminders of Charles Coborn (born 1852 in Stepney and who adopted his name from Coborn Road) the famous music hall singer are dotted around the pub. The sunny garden is the great place to be this near Roman Road, while the Orangery has a skylight window and strong air-con for those who prefer a cooler summer. A pint of beer costs £4.50. The friendly bar staff, Suffragettes mural and delicious sourdough pizzas at the Lord Morpeth make this a very popular pub in our unofficial people’s award. Wednesdays offers a board game tournament and Thursdays is the the Big Fat Quiz night. Both have cash prizes. Soon, a monthly DJ night called ‘Quattro Formaggio’ will be launched to celebrate the cheesy classics we all know and love. 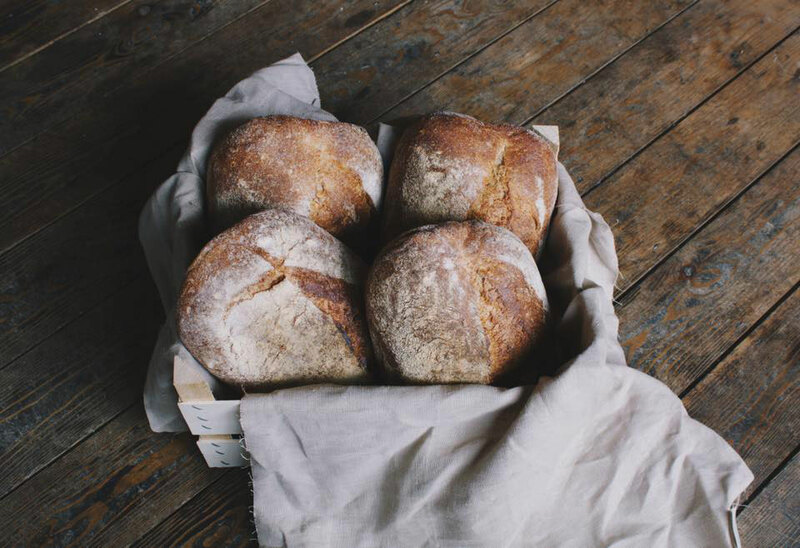 Accompany your drink with anything from Monster Munch, Mini Cheddars and Scampi Fries to traditional (or not so traditional) Sourdough Pizzas. Try ‘The Geezer’ pizza, traditional East London meets traditional Italian. A sourdough pizza with local salt beef, gherkins, mustard and crispy shallots. The pub was a local hangout for Sylvia Pankhurst and the East London Suffragette Movement and this heritage has been memorialised on the side of the pub with a mural that blends the history of East London with the current feel of East London and it’s graffiti culture. Just off the elegant Tredegar Square, the Morgan Arms’ gastro menu, generous portions and lack of pretension makes this one of the top places to eat in the East End. We highly recommend booking a table for Sunday lunch – you can’t get better than that gravy. There is a pub quiz every Tuesday from 8pm. There is also live music on the 1st week of every month (Thursday pm and Saturday @ 3pm with folk band open mic). We are very happy to say that from May the kitchen will be introducing Saturday brunch. The Morgan also has a private drinks area for up to 20 guests, so you can host a cosy birthday get-together in peace. Perfect for vegetarians is the succulent roast cauliflower, tender-stem broccoli, squash, pomegranate, and dukkha but if you fancy something a bit meatier, try the English lamb rump with baby potatoes, peas, gem, broad beans and salsa verde. This pub is unrecognisable from its days when the Kray twins frequented the pub – it could now win the most respectable pub category. There is also a secret garden perfect for catching the afternoon sun. The price of a pint of bitter is £4.20. 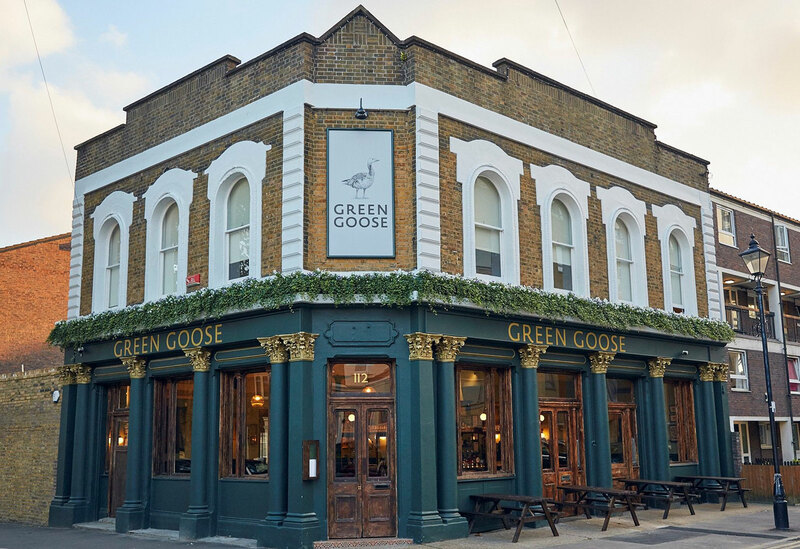 The Green Goose had a tasteful facelift in 2016, restoring its architectural features and mixing in fashionable green leather booths. It’s all go at the Green Goose. Monday night at the Green Goose is quiz night, Wednesday is Burger Night (buy one get a second for £1), and Thursday is Steak Night (2 steaks and a bottle of malbec for £40, usually £60). There are areas available to hire from small groups of 10 up to 50/60 with use of the garden too. All the food is fresh and cooked on a coal and wood burning robata grill. Homemade cordials are used in all the cocktail recipes – great for summer. There is also a vegan menu. The pub is named after the historic Green Goose Fair of the 18th and 19th century. The original fair was all about booze, debauchery and eating the geese from the surrounding marshes of East London. In homage to the fair The Green Goose will be running events from May 24th to 28th. Watch this space. The cheapest bitter is £4.20. This long standing East End pub has a reputation of having the friendliest landlady ever. We have to agree – Debbie is a diamond. Some of the regular nights at The Camel include beer tasting, and party nights to celebrate Halloween, St George’s Day, St Patrick’s Day. On sunny days you can perch on the picnic benches outside on the adorably named ‘Sugar Loaf Walk’ – sunlight available all day. There is space available to hire to accommodate to 70 people for birthdays, work parties, or christenings. The Camel offers 12 different pies, including vegan and gluten free options. 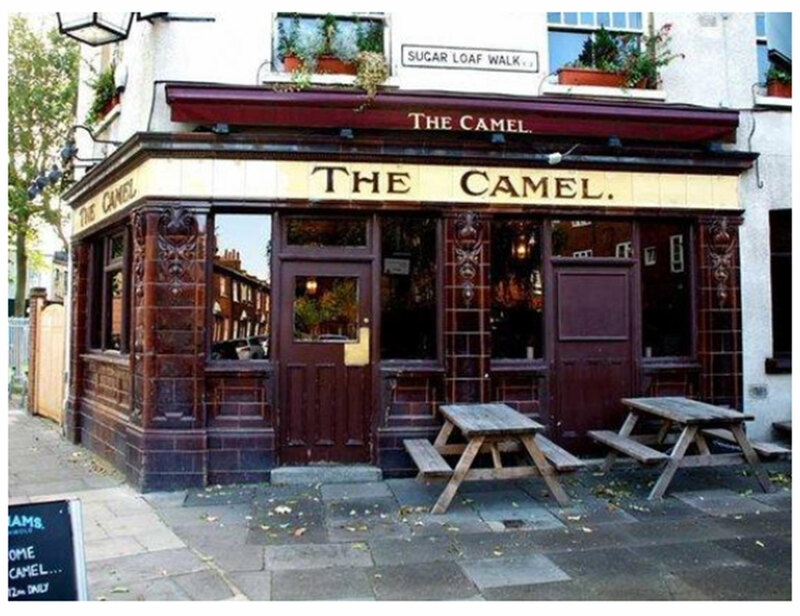 The owners have lived in East End for four generations and have owned the Camel for 26 years. 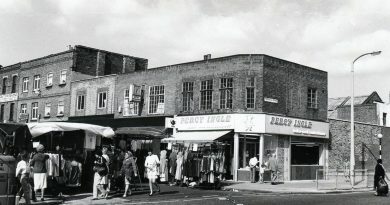 Before The Camel, they owned The Greyhound (no longer a pub) on the corner of Globe Road. The building was called the camel club during the war as it was used as a children’s refuge. This amazing pub has been awarded a Cask Mark and is in the good beer guide. The Camel also supports small local breweries and charities, including the St Joseph Hospice. A pint of bitter is only £3.80. At The Crown, there is a quiz night every first and third Tuesday of the month as well as monthly master classes, such as gin making workshops hosted by the Plymouth Gin Botanical Lab. The first floor, which is split into two rooms with balconies and small conservatory, is available for hire from 10 to 90 people. The Crown is a gastro pub and really does offer something for everyone including, serving seasonal British food, vegan/vegetarian options, meaty meat dishes and daily fresh fish, brunch and traditional Sunday roast. Be careful not to annoy the ghost if you visit The Crown – local legend tells of a spirit living in the pub. A pint of Youngs Bitter is £4.45. Not many people even notice the Young Prince nestled right in the centre of Roman Road, near Thompson’s hardware store. 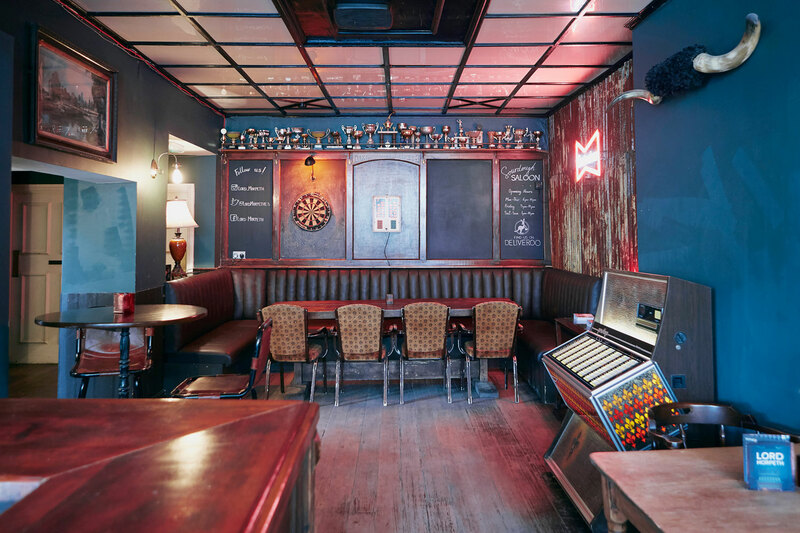 This dimly lit, cosy pub gloriously stuffed to the gills with old photographs, stag heads, trophies and framed fish, is Bow’s most traditional boozer. It is a haven for local drinkers who come everyday to talk about their day with big-hearted owner Barry Holloway. Serving beer from dimpled mugs with a side of ultra-traditional pub snacks (think scratchings) this is a place that will satisfy your ‘proper pub’ craving. Though there is also a tea machine to offer you a proppa cuppa too. There is also an epic beer garden filled with bright begonias and geraniums that provides a sanctuary from the hustle and bustle of the high street. Mondays and Wednesdays are darts night and if there is a big footie match on, it will be showing on Barry’s gigantic TV screen. 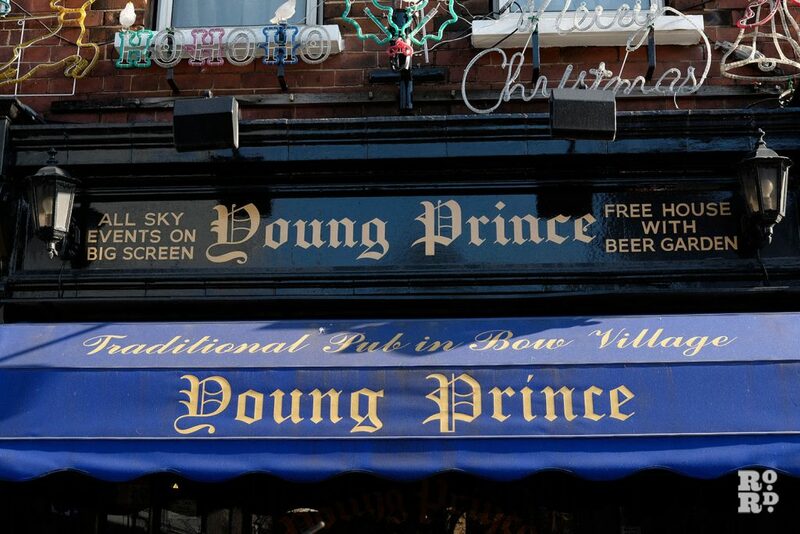 Be warned The Young Prince is not open during the day the pub only opens from 5pm. A pint of beer is a very affordable £3.60. Thanks Barry! Sat in solitary, faded grandeur in Mile End Park, The Palm Tree is the East End pub that has not changed in fifty years, including its lineup of crooners who have played there since the days when this was a regular hangout for gangsters in the fifties and sixties. Swathed in decadent red velvet and glamorous gold wallpaper, with dim lighting and the original cash register from the fifties, the Palm Tree is a popular place for film crews. Despite rumours to the contrary it is still open for business and doing a roaring trade with locals and a flood of hipsters appreciating its retro vibe. 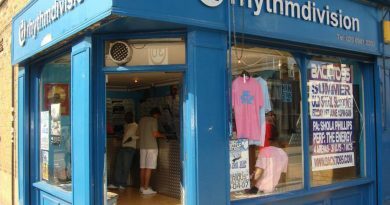 It’s been in the same family for years and the staff are famously nonplussed by the constant stream of fans walking through their doors. 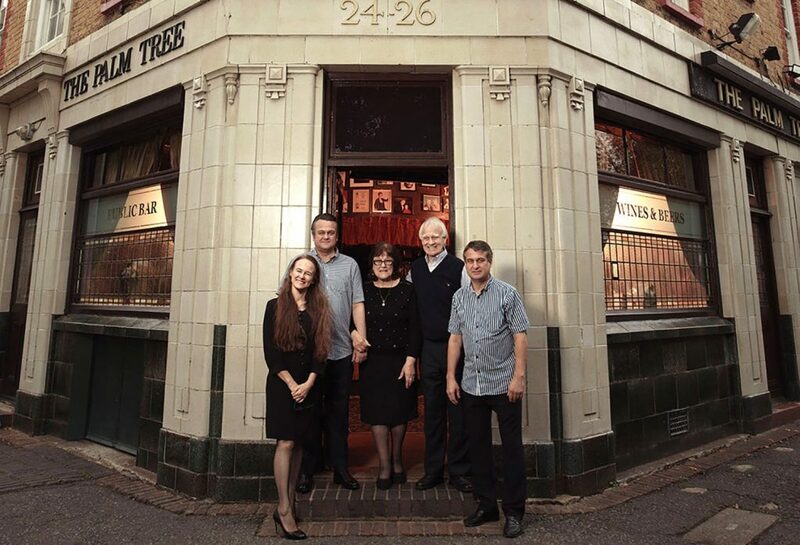 Recently catapulted into the spotlight by photographer Tom Oldham and his Last of the Crooners exhibition, this pub is one to visit. Price of pint undisclosed due to unforthcoming management. If anyone knows, let us know!